The role and contributions of micro, small and medium enterprises in the Indian economy can never be played down.The supply chain in the production of any commodity is incomplete without these entities and so is the task of job creation where MSMEs deliver more than the much-appreciated stock exchange-listed corporate houses. Every discussion, however, about MSMEs is centered ontheir vulnerability to factors like credit unavailability and threats emerging out of cheap imports. Indeed, these Indian gems crave for a revamp but the idea of finding solutions from outside can be both misplaced as well as deteriorating. So is there a ray of hope from within? 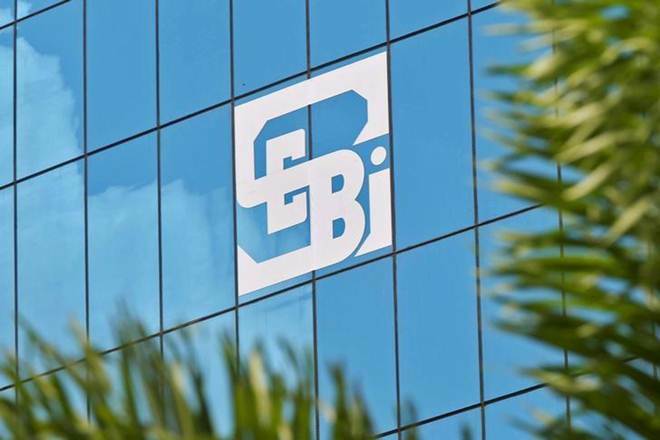 Rather than finding means to handhold these entities by way of establishing frameworks like Priority Sector Lending (PSL) or special sops, how about refashioning them as flagbearers of corporate governance and making themas strong from within that lending institutions look upon them as fair contenders for credit? 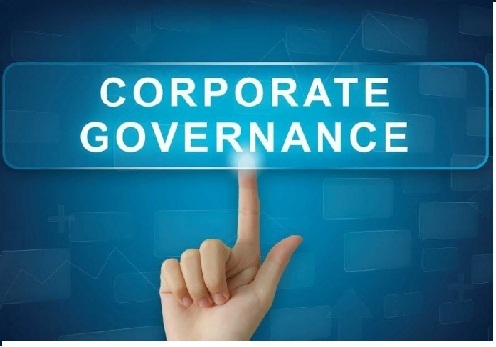 Corporate governance is a set of regulations that are intended to inject transparency and value creation in the functioning of a body corporate. From setting up of committees of the Board to having compulsory independent directors, these standards tend to make businesses more accountable toward stakeholders. An audit of financial statements by independent agency, a meeting of independent directors without inclusion of executive director and strict provisions to be followed with respect to meetings of the Board or appointment and remuneration of managerial staff are all elements that lend a sense of credibility to the entity. The scene, however, excludes MSMEs from adhering to these guidelines, which are not any sort of penalty but apparatus for good governance that ultimately makes the company more resilient to shocks and failures, and this is where we need to concentrate while debating the future of our small scale businesses. Here we list some corporate governance standards and the gains that can easily be earned by encouraging our MSMEs to adopt these in their functioning. Small businesses often succumb to the challenge posed by better placed entities that have an unambiguous constitution which they follow to avoid anomalies. Documents such as Articles of Association and Memorandum of Association did not come up from nowhere; there was a specific intent behind introducing them- infusingclarity and vision. From KRAs of senior management to the framework for functioning of the Board, well-defined set of rules act as agents of growth. Small businesses quite often fail to explain their operations and ultimate vision to probable financial backers and this turns out to be a reason for their failure ingarnering interest of creditors. Detailed Project Reports make it to meeting rooms of financing agencies and vague applications are elbowed out. AoAs and MoAs can be the first step forward for small entities. Non-executive directors on the Boards of listed companies serve the purpose of bringing accountability to the decision making process. Any individual can be tempted to divert funds of business for own use, which we generally call ‘siphoning off’ and this eventually leads to a financially sick enterprise. Small businesses are riddled with opaque financial accountability, a factor that does not allow the entity to grow. The need here is to have a clearstructure for financial reporting, besides audit of financial statements by an independent agency. On the face of it, this may appear somewhat unmanageable for small businesses. The answer however has its unique set of advantages. The government is reeling under the pressure to create jobs, so how about skilling fresh graduates on auditing financial documents? Quite well-known is the prevalence of underpayments in unorganized sector. Businesses look for human resource that is least expensive with a view to cut expense. Statutory deductions and benefits – provident fund, bonus and gratuity – remain almost unheard of in small scale organizations. Same is the case with appraisal and incentives for good performers. While clever thinking may suggest minimum expense on wages, rationalthinking reflects the drawbacks of such policies. Anuncommitted worker hired to just perform his duty with no encouragement for incentives creates anentity which is sooner or later struck out by better performing organizations which regard human resource management as a key function. Large companies have fair chances to sustain risk posed either by changes in demand forces or technological advancements since they deploy a specialized team in the job of risk mitigation. Risk management does not mean that a certain event which will affect the normal functioning of organization be averted, it means factoring in every such event in the planning process so as to allow the happeninginflict minimum possible damage. MSMEs face a tough situation when market forces like cheap Chinese imports or disruptions in the supply chain due to events like implementation of new tax regime, GST, upset usual operations. In this globalized world where capital, goods and humans are moving freely from one country to the other, small businesses cannot manage to steer clear of hostile conditions unless risk management is made the part and parcel of overall planning and decision-making process. The stakeholders in any business want value addition. Shareholders, creditors, suppliers and workers, all want an upsurge in their respective stake holdings. The Board must not only devote labors to the planning process but shall also meet at regular intervals to assess that the business is on the track that leads to value addition. In order to achieve this, skilling and re-skilling of all functionaries, from the worker operating the machine to mid-level manager to the member of the Board, is a pre-requisite. Small businesses operate with short-term goals of making money solely for promoters. This aspect is to be replaced with long-term sustainability and financial viability of the enterprise. Value creation and enhancement add perpetuity to the business, without whichthe chances of survival in this throat-cut competition are nil. Companies of today have definite ‘Vision’ and ‘Mission’ as part of their incorporation documents, MSMEs need a similar approach. MSMEs on their own cannot be expected by the government or regulatory agency to work on this ambitious model. Corporate governance is a demanding exercise whichneeds a cautious implementation; else the outcomes can be even more damaging. An advisory agency can be set up with former independent directors as consultantsfor productive adoption of good governance norms by MSMEs. What is sure is emergence of small businesses as a capable class of enterprises, able to withstand odds like low-priced imports and disruptions like GST and demonetisation. MSME is one sector that provides employment to crores of people here. But the sector remains unorganised and even PF and bonus benefits arent provided to employees. They need training on governance. Indian companies, large or small, have lack of compliance for corporate governance norms. The rules have to become strict enough so that companies like Sahara do not indulge in unlawful activities. Small scale enterprises are the pulse of this country and if they start performing better the job crisis we are facing will fade away. Professionalism should be infused in them. It is all about better education on how to manage company affairs. Many small entrepreneurs never attend higher education institutions hence they cannot be expected to have governance skills. The government needs to set up short-term courses for MSMEs in corporate governance. Now when we have channels like Youtube and live streaming this should not be a costly scheme to implement. You may be right in this regard but resources lack for micro level enterprises to introduce corporate governance in their functioning. Even Chinese import is killing their margins. Board meetings for every company, small or large is a necessity because by this tool they can keep an eye on operations and assess the past results and plan for future. Its not that simple for all companies to have such governance norms in place since the human resource needed for this has to be skilled. The country needs more skilled workforce for this to happen. Indian can never become Japan since we lack the kind of working style they have. They are more disciplined and abide by regulations. Our companies look for ways to cut costs. Listed companies have statutory need to call meetings of board and prepare standalone and consolidated financial statements. Are there adequate financial experts in India that even smaller ones can do this?